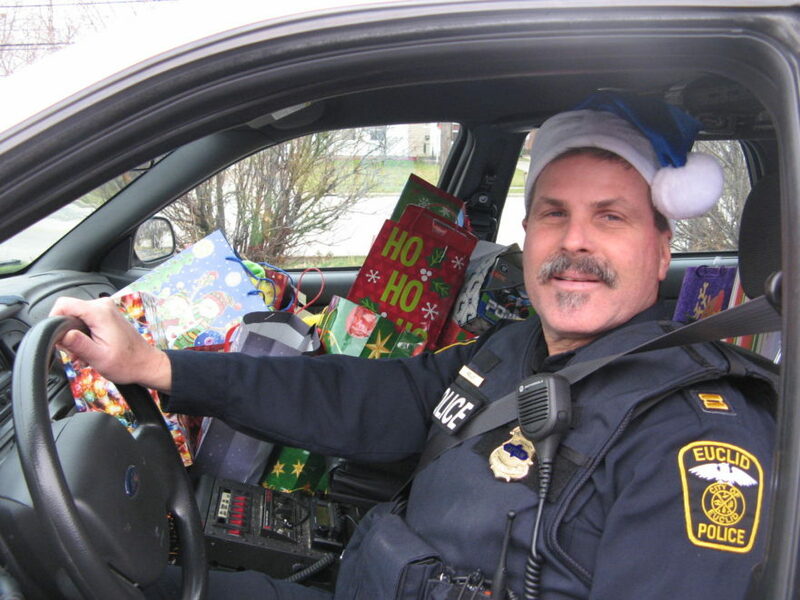 This year, the Euclid Police were gifted toys to provide to our community. We asked our residents to donate holiday bags, and we began the giant task of organizing and bagging the toys. On December 6th we loaded up our sleighs and stopped by several Euclid daycare centers and preschools.#SantasInBlue handed out the toys individually to the very well-behaved children. This project was made possible by the generous toy donations from the Euclid Fraternal Order of Police Lodge 18 and an anonymous friend of the Euclid Police Department and the residents of Euclid!